Imagine the search for a school as an equation. As you look, add up the strengths of each school: academics + philosophy + quality of teachers + campus facilities + school values…the variables go on and on. Find the balance that is right for your family, and you have given your children a gift that prepares them for life. One of the most important decisions you'll ever make is where to enroll your child for quality learning. As you do your research and evaluate your options I hope you will consider Lake Travis STEM Academy. Our challenging academic curriculum in a caring and character building environment turns out well-informed, well-prepared students who have a decided advantage as they face the increasing challenges of middle school, high school and college. I encourage you to peruse through our website and it is my hope that our mission, philosophy and methodology will encourage you to start the process to enroll your child(ren) into Lake Travis STEM Academy. 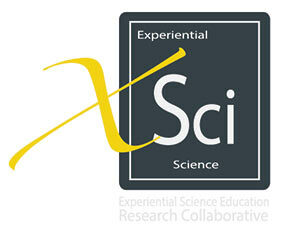 We combine experiential learning with STEM integration. Our mission is to inspire our students and create authentic curriculum to provide a balanced learning environment, nurturing children’s natural curiosity about their world with student-centered experiences. STEM is incorporated into all the subject areas we offer (Science, Technology, Engineering, Mathematics, Literacy, Social studies, Art, History, Foreign Languages, and Physical Education, plus elective courses). Teachers provide students with many opportunities that meet or challenge their individual abilities. Below is information that further explains the curriculum. Our small student/teacher ratios ensure individualized learning. Samantha has always been passionate about making learning fun and turning every lesson into a multi-sensory experience. Pam Knab brings both experience and excitement to the classroom. Her goal is to encourage young people to explore the world around them and beyond in an inquiry-based setting. Curriculum and equipment Fees $800 - due June 1, 2017. Curriculum and equipment Fees $800 due June 1, 2017. Friday Elective Classes – Optional and also Open to the Home School Community! *You can customize your day with an a la carte menu and payment options. Or you can sign up for a full day from 8:45-3:30. Monthly payment options and semester payment options are available through a third party company. Please ask for details if interested. Sibling discounts are available please ask for details. Early Morning Care is available - please ask for details. After School Care programs are available - Please ask for details. Our enrollment process is simple, easy, self-guided. All the necessary information is gathered electronically, in one place and in a secure manner. All application data you submit is stored confidentially. There are no paper forms to worry about; everything is electronic! ...LTSA under the guidance and leadership of Ms. McLain has accomplished in two years what most schools have failed to do over decades: create a progressive educational institution which considers individuality and provides wholistic, comprehensive instruction via quality hands-on learning experiences in a smaller setting. Its unique schedule recognizes that family involvement in education is key to a child’s success and that with more time on learning and less time transitioning, what takes public schools 35+ hours to complete can be accomplished much more efficiently in less than 20." Dawnmarie P. & Kenneth B. "Lake Travis Stem Academy is a great fit for our family. Our children are encouraged to explore science, and to present what they’ve learned to their classmates. Through well planned unit studies, or hubs, our children have learned a great deal about the world around them. For example, while learning about rocks, minerals and soil erosion, they were working on projects to model the layers of the earth, experimenting with erosion, reading Jules Verne’s Journey to the Center of the Earth, touring caves and aquifers, and preparing presentations to share with their class on what they had learned..."
"...My children love their teachers and classmates. They can’t wait to get to school! After school, they are anxious to fill me in on what they’ve learned that day. It’s easy to see that the teachers are doing what they love and the children sense this every day." "What makes LTSA so innovative is its combination of experiential learning with STEM integration across all subjects. The LTSA model is research-based and includes powerful project-based learning strategies with the narrative construction of knowledge (heavy on reflective learning) and the opportunities for students and staff to grow together through authentic exploration. That’s what learning is all about!" "Thank you so much for visiting Cisco today. Your group really kept us on our toes, they are one sharp bunch! All of my Cisco, TACC (Dawn and Je'aime), and Rapid7 (Aaron) volunteers enjoyed the conversations and questions your students had." "if they presented to a group of adult entrepreneurs, we could all completely relate, but most importantly learn."